February 11, 2019 – MALIBU, Calif., U.S. – Plastic Oceans International and Breathe Conservation, two global nonprofit organizations dedicated to solving the plastic pollution problem, today announced Swim Against Plastic: Easter Island, a campaign to raise awareness about plastic pollution with a world-record swim, education and beach cleanups on Easter Island in March. Sarah Ferguson, a former national swimmer for South Africa and founder of Breathe Conservation, will attempt to set a world record to become the first person ever to swim the entire perimeter of Easter Island. Her journey will cover more than 40 miles (65 kilometers) through cold water and dangerous currents, and the swim is estimated to take up to 24 hours to complete. Located in the South Pacific Ocean between Chile and New Zealand, Easter Island is a UNESCO World Heritage Site on Chilean territory that is considered the most remote inhabited island on the planet. The waters surrounding the island contain one of the highest concentrations of microplastics in the world, most of which originates from sources thousands of miles away. In addition, 20 tons of trash is produced daily on the island, so waste management issues, especially related to the growing tourism industry, are prevalent. Swim Against Plastic: Easter Island includes a series of beach cleanups to help restore Easter Island’s fragile environment. Plastic Oceans and Breathe Conservation are organizing the events with the island’s local communities and nonprofit organizations, encouraging all residents to participate. 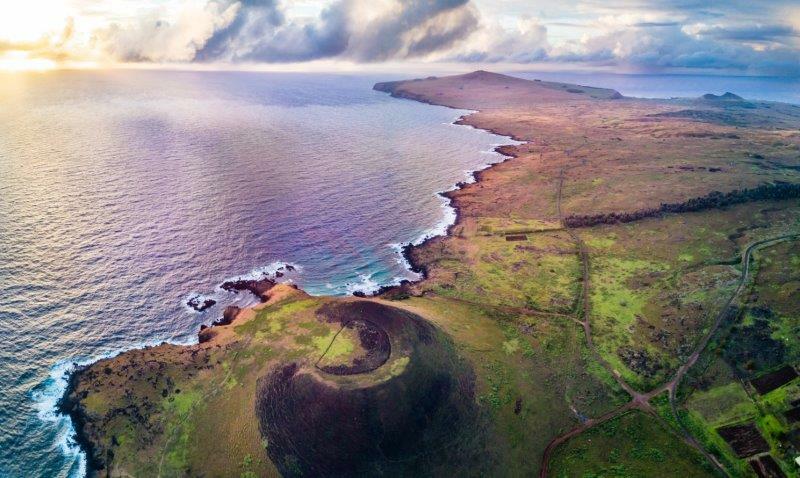 Plastic Oceans and local residents will conduct a series of programs to determine the specific causes contributing to plastic pollution on Easter Island. Once the roots of pollution are targeted, they will work jointly to find solutions. Results and ways to prevent plastic pollution will be shared throughout local communities, with students and schools, charitable organizations, government officials and businesses. Anyone can join Swim Against Plastic: Easter Island to get informed, inspired and make changes to solve plastic pollution. Follow the progress of Sarah Ferguson’s world record-breaking swim using #SwimAgainstPlastic. Campaign information is available online at SwimAgainstPlastic.com.